Don’t miss this week’s deals! 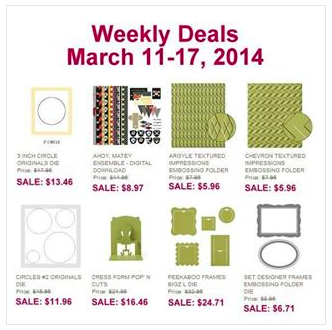 Embossing folders & big shot dies! Sale-a-bration is almost over, don’t forget you can choose FREE products with every $50 you order only through the end of March. Click the links below to shop on my online store.